The Honor 10 Lite is finally official and as we expected the handset packs mid-range hardware along with a very interesting price tag of around $200 (in China) for the basic variant. 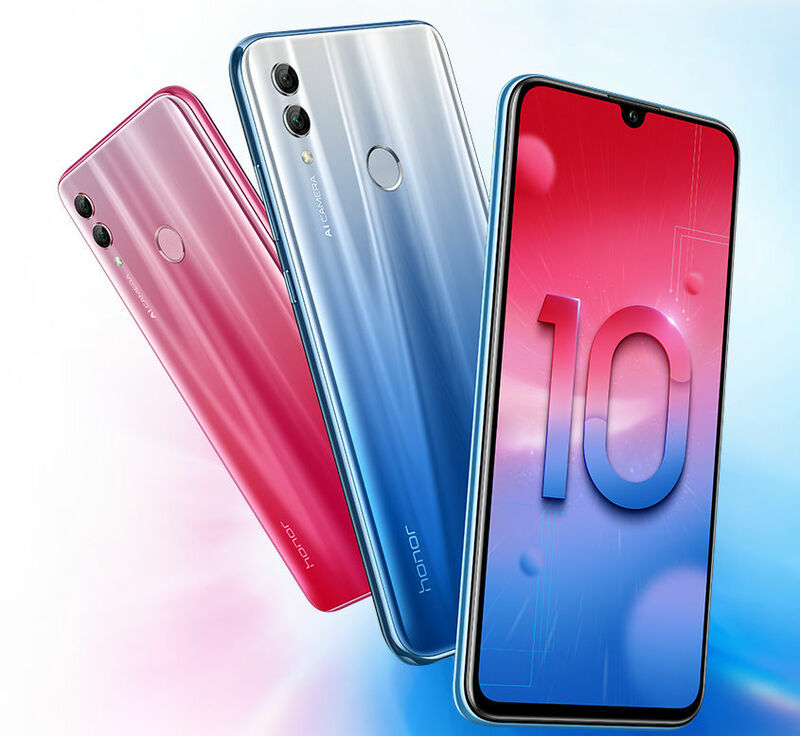 Honor’s 10 series more affordable device comes with a large 6.21-inch display of Full HD+ resolution and 19.5:9 aspect ratio and a screen-to-body ratio of over 90%. The handset is then powered by a Huawei Kirin 710 SoC paired with either 4GB or 6GB of RAM and 64GB or 128GB of internal storage, plus it supports Huawei’s home-made GPU Turbo 2.0 technology which is supposed to boost the smartphone’s performance in more demanding tasks, like when playing games. Photos will be handled by a 13MP main rear camera with f/1.8 aperture and a secondary 2MP sensor to create photos with the bokeh effect and other AI features. Meanwhile at the front we find a 24MP snapper inside the notch for high-res selfies. Finally, the Honor 10 Lite comes with a decent 3400mAh capacity battery, gradient back covers to appeal the youngsters – it’s a “Lite” version after all – and EMUI 9.0 based on Android 9.0 Pie. As we previously mentioned the Honor 10 Lite will cost around $200 in China for the 4GB/64GB version, $244 if you want the 6GB/64GB model and about $270 for the variant with 6GB of RAM and 128GB of storage.